Departure of surface temperature from average for December 28, 2017. Areas in red and orange are not necessarily warm, but they are above the average for this time of year at that location. 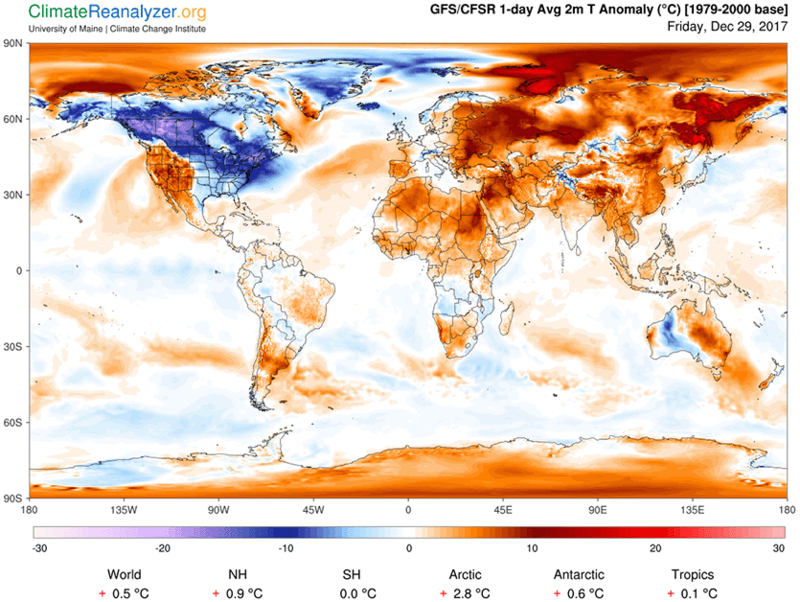 While the Northeast U.S. was experiencing near-record cold, the globe as a whole was 0.5 °C above average, thanks to global warming. Image credit: ClimateReanalyzer.org, University of Maine Climate Change Institute. Are we safe to ignore global warming because it’s cold outside?